Fresh off his APP New York SUP Open win, Connor is already on the opposite coast getting settled for the Battle of the Bay taking place this weekend in San Francisco. I got a chance to catch up with him in between events to talk about his overall win in New York and his impressions of the 2018 APP World Tour. Tristan Boxford, the CEO of the Association of Paddle Professionals, has just delivered the second stop of his 2018 season now that London and New York are in the books. I talked to Connor about the iconic scenery of lower Manhattan and the Statue of Liberty before and during the race as well as the less-than-flat water conditions they experienced on the 5 mile course out and around Ellis Island. Connor excels in the bumps and particularly in the big downwind events. Born and raised on Maui he is especially fond of the race across the Pailolo Channel that separates his home island from Molokai. He is undefeated in that crossing now nine years running. He's also won M2O three times which led me to ask him about the the approach and preparation he takes toward each race and what makes M2M so much different than M2O. Foiling continues to be a huge topic of conversation and Connor is one of the best foilers out there. I talked to him about the future of the foil classes in the Hawaii downwind races and whether we can expect to see him make the switch from an unlimited SUP to a foil anytime soon. Speaking of guys who love to foil, I got to ask him about his early years growing up with our good friend Chuck Patterson in the house. Connor's parents, Keith and Karen, were early sponsors of Chuck and graciously hosted him every winter to chase the wind and huge waves on Maui. Chuck was clearly a solid role model for Connor during those years helping to mold him into the professional water athlete he is today. Connor and his parents have a great relationship with Svein Rasmussen the founder of Starboard and as such Connor has been riding for the brand ever since he was four years old. Connor is now 24 and when he shares his age with me, I have to explain that 24 really isn't considered old. However, it does make him only one year younger than Starboard as a brand which certainly puts his time on the water as an athlete into perspective. I'm certain that Svein, Keith, and Karen couldn't have predicted the success and satisfaction that both parties would experience by pairing this young waterman prodigy with what would become one of the most successful board builders and brands in the industry. Its been a perfect symbiosis of athlete and brand from the beginning and those bonds couldn't be stronger today. There are a few more races before the season ends and Connor seems focused on where he needs to be and what he needs to do to finish strong. He's a professional in and out of the water and a solid ambassador for the sport. I really enjoyed getting to spend some time chatting with him and hope you enjoy the results. Thank you for listening. Aloha. We got a chance to sit down with Gabby Reece today to talk to her about growing up on a small Caribbean Island before settling down with one of surfings greatest legends. Gabby lived on St Thomas through her junior year in high school then moved to Florida where she started playing volleyball competitively. It didn't take many looks from talent scouts before she was picked up by Florida State and given a full ride to play for them. College volleyball lead to pro beach volleyball where she continued to dominate still holding records for most blocks and kills. During her days as a pro beach player, she drifted in and out of modeling with her tall athletic frame and stunning looks before eventually finding her way to television. Gabby is the complete package - she's athletic, intelligent, self-confident, and has a strong entrepreneurial drive that keeps her eyes and ears open to opportunities when they present themselves. She met her husband Laird Hamilton while interviewing him for an episode of Xtreme TV and settled down with him in Hawaii soon after. Their most recent project to date is one they run together by inviting a host of different types of people to participate in what they call extreme pool training or XPT. It was interesting to learn about the key take aways experienced by the majority of the guests and the diversity of each guest's level of fitness and comfort in the water. There's a wide gamut of experience among the participants and each one is there to push their own personal limits regardless of how their abilities may compare to the overall group. Both Laird and Gabby have been very open about the work they've put into their relationship with one another. Gabby is just as transparent in her parenting philosophy used to raise their daughters. Despite the fact that these girls are growing up with two incredibly popular and recognizable media icons as parents, they all manage to stay grounded and as tightly knit and seemingly present as any other family. As you can imagine we were incredibly honored and flattered to be able to spend this time with Gabby and we hope you will too. Enjoy the show. Evan is an insanely talented kiter riding for one of the leading kite brands in the world. Heralding from the Outer Banks, he grew up in a wind sport addict family when his parents settled in Kitty Hawk, North Carolina to chase the wind and waves. By the time he was proficient enough to lay down a carving jibe, he shifted his focused to kiting and became one of the first to fly a kite off the shores of Cape Hatteras. While still enrolled as an undergrad, Evan took a job as the Eastern US sales rep for Cabrinha setting up the ideal lifestyle for living the dream in an emerging new water sport. Speaking from experience, I have to say Evan crushes it as a rep. I don't know many if any pro athletes that can hold double duty as sales rep, but Evan seems to pull it off with ease. He's only 28 years old, but by his own admission he's old. Really? I'd accept old soul, but certainly not old by age. That being said, he acts and speaks from a place of maturity and humbleness in everything he does. With zero ego and a super approachable attitude, Evan is an excellent ambassador for the sport and an inspiration to all of us who vicariously dream of living out our remaining years as a professional kiter. I can't wait to connect with him again this winter in Puerto Rico for our upcoming kite retreat. Until then, I'll be working on my strapless game to understand how those guys keep their boards glued to their feet while boosting airs. I've got a long way to go. Today we caught up with North Carolina's favorite female SUP athlete to hear about how she got into paddling and where she sees things heading. April talks about the change in her attitude toward fitness both before and after SUP and how the first race she entered gave her a new passion and drive in life. Since that race she's put in the time and the effort to firmly plant herself among the top 10 fastest female paddlers in the world. What's especially inspiring is that she's the only one from the east coast of the US where year-round training is challenging and ocean conditions not ideal for getting ready to compete on the world stage. She's found a nice balance between her work and her paddling career giving her the necessary time to train while passing on the skills and passion of stand up paddling to her clients and students. In doing so she had to leave the marine science lab where she used to apply her masters degree in oceanography. She's still studying the ocean, but doing so from a completely different perspective. We've all seen April's big smile and high energy at the top of the podium in almost every local race she enters. She's also one of the humblest competitors in the sport and can always be seen congratulating her competitors and encouraging more women to get involved in the sport. She says that competition doesn't drive her performance and instead her fitness and training are fueled by the desire to lead a healthy and active life. What better way to do that than to paddle every day. I was especially proud to see her place in the top 5 at PPG last year among the best women in the world and doing so with a huge smile. All that paddling and training paid out huge that day. And I know April was beyond stoked to be on the podium that afternoon realizing how far she'd come from that first race in Carolina where the spark was lit and the fire had just started to burn. Surfer, video blogger, Wawa frequenter, and all around good time guy, Ben Gravy, gets on the line to talk about the inspiration for his daily video blog running close to two years now and where he sees it going. Ben's filmed continuously for the past 625 days (minus one day where he was too ill) and has built an impressive following of YouTube subscribers and dedicated fans. His format is simple - full transparency of his day to day life for everyone to see. This includes morning coffee, hopping in the car to scope novelty waves, household dialog with his family and girlfriend, trips to Starbucks, Home Depot, auto parts shops, and any other errand or stoked out pursuit that lays along his daily agenda. What would normally seem like trivial errands in most anyone else's life is simply hilarious when seen through Ben's lens. What started out as a way to document his recovery from injury and commitment to sobriety has now become a new standard in self published reality TV pleasantly aimed at the east coast surf community for everyone to enjoy. We were flattered to host Ben earlier this spring as he checked off Vermont from his list of 50 states he's committed to surf. It was clear to us then that this guy is on a mission and that he has all the necessary internal drivers and self motivation to see anything he dreams through to reality. I can't wait to tune in tomorrow at 10:00am eastern to catch the highlights of Ben Gravy's 626th episode knowing that we played a small part in the beginning of his day. I was down in Rincon, Puerto Rico last week for the Beach Boy stand up paddle board race and got a chance to catch up with Greg Carson. Carson is a waterman through and through. After growing up outside Fort Worth Texas and later attending the University of Florida, he answered a call for a job as a dive instructor at a small dive shop in Rincon. He's been there for 25 years ever since. He's an accomplished diver and free diver having used the ocean as his grocery store when he first moved to the island. He's also a Starboard ambassador and a big wave surfer. We talk about his love affair with Tres Palmas and the early years of riding big waves on stand up paddle boards, the progression to performance boards, and blending into the line up as a stand up paddler. And now he's feeling like a grom again through the addiction of hydro-foiling. Carson got his hands on a couple of Go Foils this winter and is now well ahead of the learning curve riding everything from 10 foot Tres to two foot reef breaks on his foil. Greg is one of the most well known and well respected people in Rincon. Whether he's walking down the street or down the beach people drift into his path for a chance to say hello and swap some stories. He's a super good guy who gives a ton of his time and energy to the local community which in turn has given him a little slice of paradise to live out his dream to be a surfer. Today we have big wave surfer Will Skudin on the line to talk about geting the bid for a full time spot on the Big Wave World Tour this year. We talk to him about growing up as an east coast surfer on the big wave world stage and how his background in swimming helped prepare him for the mental toughness required for huge surf. Will is an awesome guy. I had the pleasure of sitting down with him and his girlfriend, Jen, last month while we were in Puerto Rico, and was really impressed with how modest and approachable he seemed considering the heroics of what he does for a living. I guess I assumed that big wave surfers were full of insane energy and adrenalin 24/7 and maybe some are, but not in this case. Will has a very calming way about him - anxiety doesn't seem like a word he's familiar with. When 40 foot walls of water pick you out of the line up to march toward, you have to be cool headed enough to hold your ground and trust your positioning versus paddling like mad for the horizon. That's what separates big wave surfers from the rest of us. We're looking forward to following Will's season this year as the first waiting period kicks of late next month. He's a testament to hard work, determination, and dedication and I can't wait to see it all unfold on the big wave world stage in 2017 Enjoy the show. Zane has had an incredible year this year having won the Ultimate Waterman Challenge, The Master of the Ocean, runner up to SUP male athlete of the year, and as I write this he has just won gold in the 2016 ISA men's sup surf event in Fiji. The guy is on fire. We were finally able to get him on the phone in the midst of a very busy schedule to talk about his accomplishments thus far and particularly the emerging phenomenon of stand up foiling. In true Zane fashion, he's on the move even while taking our call as he makes his way to Ho'okipa Park where he's scheduled to compete in the Aloha Classic an hour from now. I got to spend some time with Zane and his brother Matty Schweitzer during the 2016 Starboard Dealer meeting in San Diego in September. By now you've all see the videos of Zane and Connor riding their foil boards behind windsurfers, party boats, and electric bikes in Mission Bay during that event. But what you may not know is that in between those expression sessions, Zane and Matty were holding some of the first stand up paddle foiling clinics ever done on a brand new low speed foil designed by Alex Aguerra of Go Foil. After watching Zane patiently coach each person up onto the foil then masterfully demonstrating how a pro-level rider does it, I knew this was the guy to tell us where we are and where we're headed in the crazy new world of foiling. I can't say enough about the humbleness, honor, and respect that Zane exhibits every day as a professional athlete. Its obvious he's a very old soul that's deeply entrenched in the life and tradition of his Maui roots. I was very flattered to have him join us on the show and think you'll really enjoy hearing what he has to share. Phil Soltysiak is a 29 year old professional windsurfer from Toronto Canada who finished 5th in the year this year in the freestyle category. Phil rides for Starboard and Sailworks and is one of the very few North Americans competing on the PWA world tour which predominantly takes place in Europe from May through October. We hear about his early years sailing with his brothers and building a passion for windsurfing that ultimately leads him to the decision to turn pro. He won Male Windsurf Athlete of the year last year from the Association of Wind and Water Sport Industries and just had his best career finish ever this year on tour. He's a super friendly guy who loves to share the stoke of windsurfing with everyone he sails with. I know I'd be psyched to get out and sail with this guy as he seems like the kind of person who raises the level of fun anywhere he goes. As a windsurfer who mostly sails in Vermont on Lake Champlain, I can appreciate the dedication and time it takes to make it to world stage from a cold weather environment. To learn more about Phil and his travels, check him out at philipsoltysiak.com. Thank you Phil for joining us today, it was a pleasure to have you on the show. If you've ever watched a live stream of a professional surfing event, you'll love hearing from our guest in this episode. Brian Reardon is the owner and founder of the Auxiliary Channel - a media production company responsible for providing internet streams for action sports events. 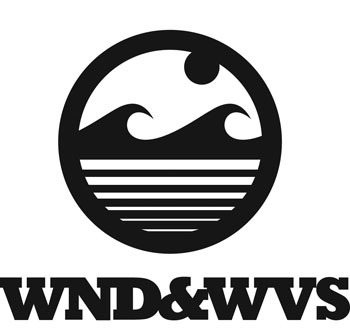 Brian grew up surfing with our own Kevin Womersley from WND&WVS in their home town of Marshfield, Mass. Brian developed a passion for filming when he was in college shooting movies of himself and his buddies snowboarding in Vermont. That passion led him to start the Auxiliary Channel and later start booking events from brands such as Volcom. Brian and his crew recently covered the 2016 Pacific Paddle Games at Doheny Beach, California where they did an amazing job bringing us all the action from that event. During our call Brian takes us back to the legendary Cloudbreak swell of 2012 when he was contracted by Volcom to stream that event for the ASP Mens World Tour. Brian is a great guy with a lot of enthusiasm and passion for what he does and it certainly comes across in his work. Thank you for tuning in. We hope you enjoy the show.